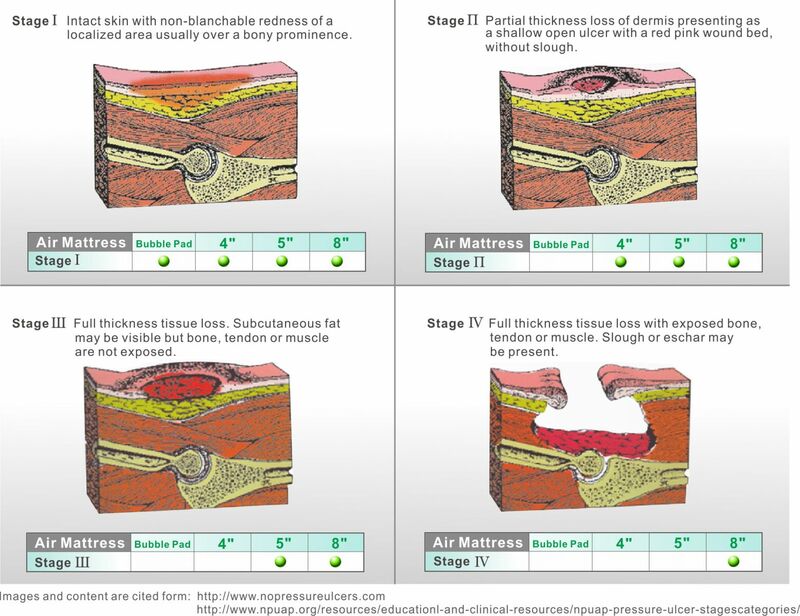 Pressure ulcers can develop within 24 hours of skin injury or appear as late as five days post injury. The pressure value of increased internal capillary pressure required to impair circulation and contribute to pressure ulcer formation is not firmly established in the literatures; reports range from less than 20mmHg to greater to than 40mmHg. However, 32mmHg is an often reported average interface pressure that results in capillary closure and cellular compromise.